Today's Shout Out is a bit different as it's a shout out to the lack of something. That something would be cable. About ten days ago we officially cancelled our cable and had a representative take away our cable boxes. Initially, I felt a bit of a panic, wondering what would happen?!?!? For the better part of the past two years I haven't watched much cable tv. There are a few reasons why I don't watch much cable but the main being my schedule. 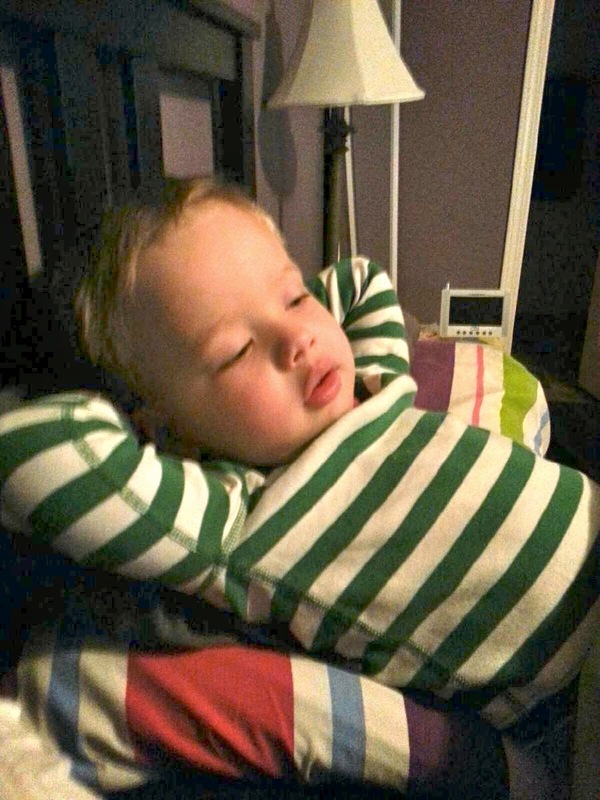 I am with my three year old son Thomas during the day when there is no time to settle in a watch a show. Then, he goes to bed at 8pm and so do I! (My alarm goes off at 4am.) I am not staying up to watch primetime! The only things I found myself tuning in for were awards shows (my beloved) and special events like the Olympics. I still watch plenty, but it's exclusively Netflix and YouTube. I would have cancelled months ago, but Jeremy was hesitant until he came to me suggesting we try it. Perfect! So many networks stream shows on their websites so we are going to try to figure out how to connect a laptop to the tv for hockey games etc. We are happy to save some money every month and so far, neither of us has given it a second thought. Today's Nail of the Day is one that came highly recommended by a long-time friend of mine. She's one whose taste is so on-point that if she tells me it's good, I know it is! 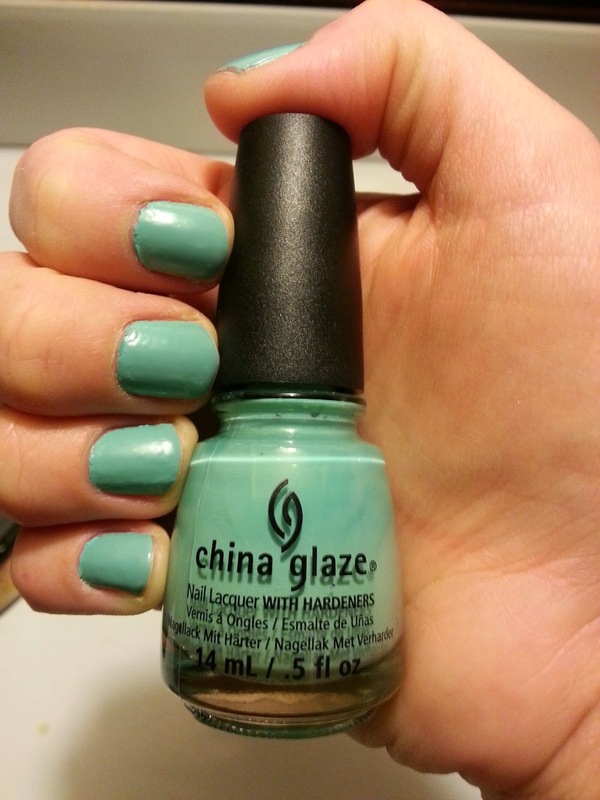 This is China Glaze's For Audrey. Turns out, this colour is a bit of a cult classic. It is the perfect Tiffany blue, fitting as it's named after Audrey Hepburn and Breakfast at Tiffany's! I don't have many China Glaze polishes but this is a winner! It actually has the 'wow factor' which I don't think I've ever said. I could have just done one coat and it went on like a dream. I took this photo four days after painting my nails and there is not a single chip. I am rough on my nails too, so that's saying something! It has a bit of a rough texture as you might be able to tell from my middle finger, but my base coat is to blame for that. Need a new one! If you are looking for a gorgeous blue, definitely try this one! "You know at Warren Easton, you are loved and appreciated and supported for what you have to offer. I was trying to remember my graduation and, oddly, I couldn't remember anything. I remembered how good I looked and then I went back and looked at pictures and I really didn't look so good. I didn't remember anything, because I was so worried about the future. Stop worrying so much. I don't remember any of the moments in my life where I worried. 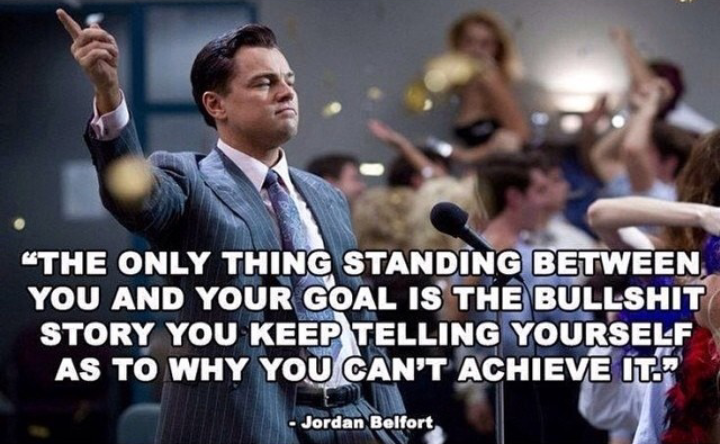 Raise the bar higher. Nothing is a failure it's just not supposed to work out. Eat something green every day. Do not pick your nose in public. How about we just go get a tissue? When someone who cares about you hugs you, hug them back. If someone doesn't want to play with you, it's okay. Not everybody is going to love us. And last but not least go find your joy. It's what you're going to remember in the end. It's not the worry, it's not the what-ifs. It's the joy that stays with you. And I want to thank you for the joy that Warren Easton brings me every day." 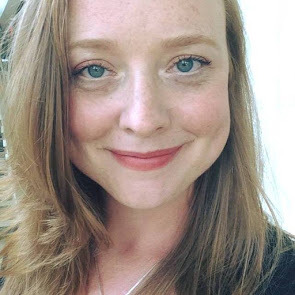 Sandra adopted the New Orleans school after Hurricane Katrina back in 2005 by make a substantial donation to rebuild the heavily damaged campus. 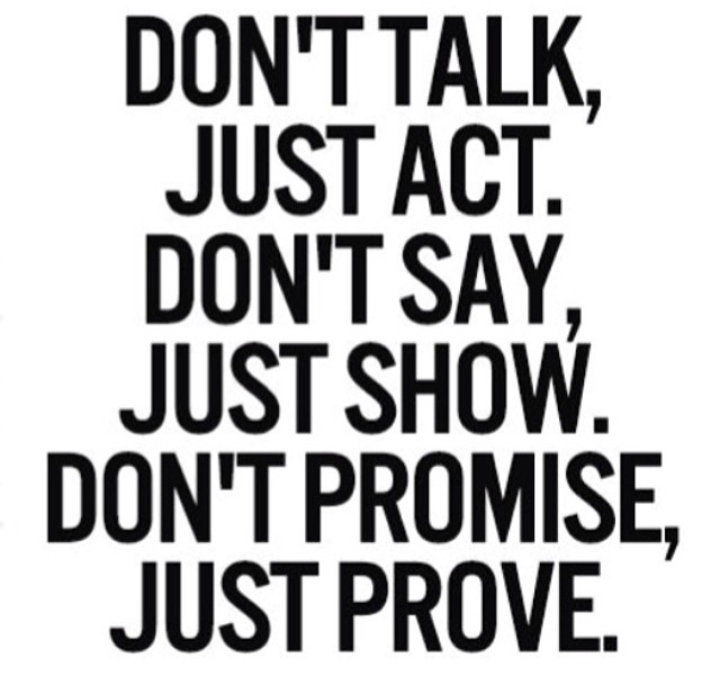 Good morning and happy Monday! I am starting a 5 Day Clean Eating Challenge today and am so excited :) I think we have been eating pretty well already, but it will be nice to really see what it's like to only eat clean. Follow me on Instagram, Twitter and Facebook as I will be posting photos of my meals. 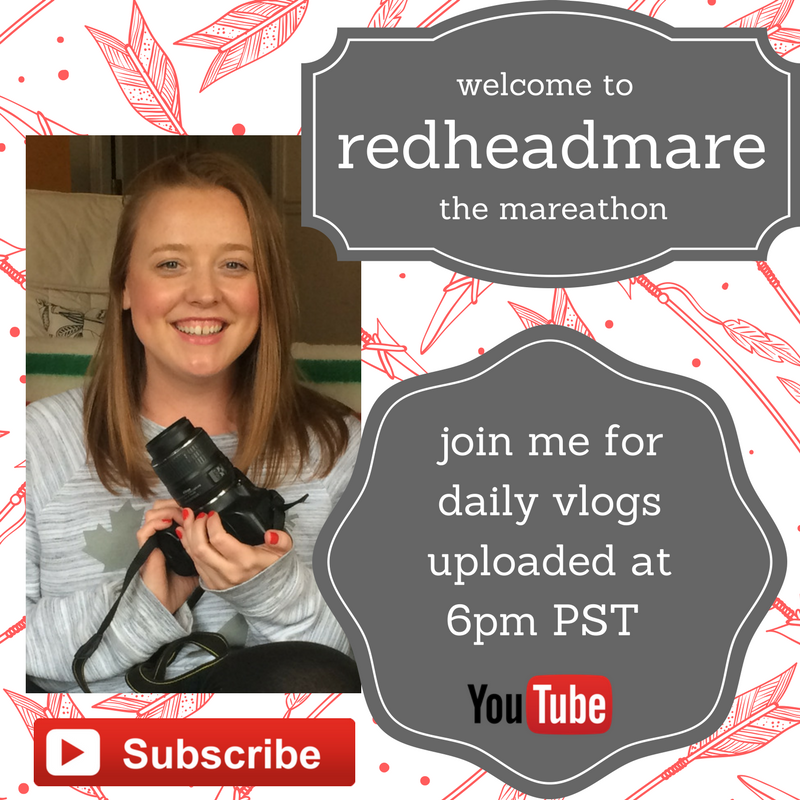 I am also vlogging this challenge and will be posting videos periodically showing the food and recipes. 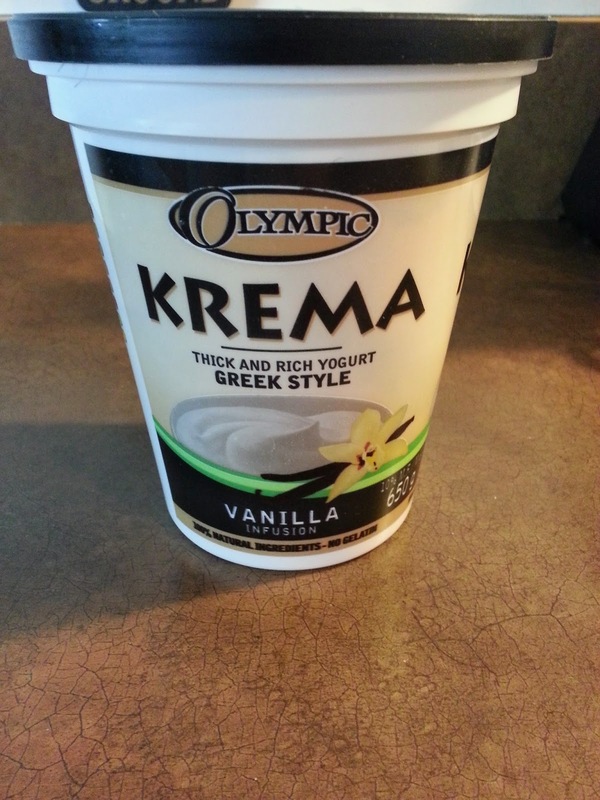 For this week's shout out, I am talking about my favourite greek yogurt. Actually, this is probably only one of two greek yogurts I've tried that I've actually liked. I find greek yogurt to be an acquired tasted and some are pretty terrible. I like it for its protein content. I wish the calories were a bit less, but this Krema yogurt is by far my fave! The original flavour is quite tart and definitely needs fruit. It's great with apples and a bit of cinnamon. Mix that with the vanilla and it tastes like apple pie! 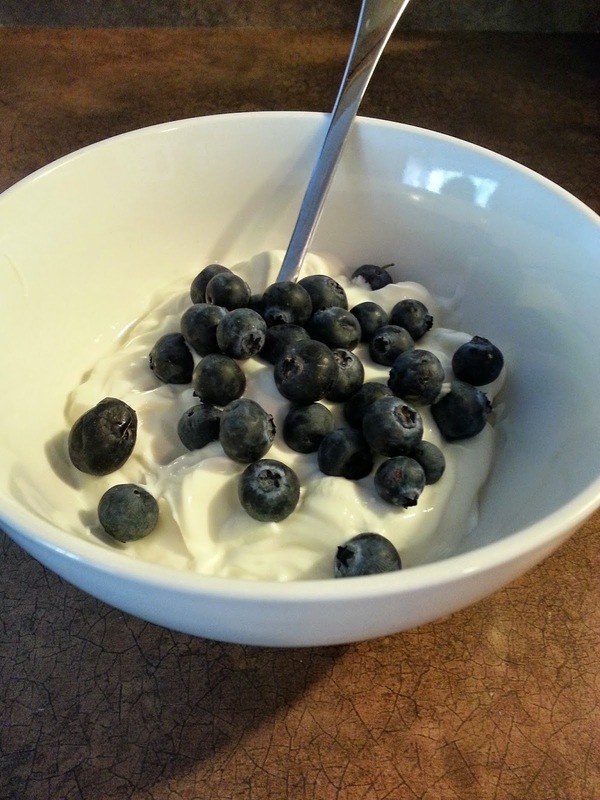 This yogurt is one of my favourite pre-workout snacks or afternoon snacks. Fun fact: Krema is pretty pricey at most stores, except Walmart. It's less than $4 at Walmart but I've seen it run as high as $7 at other stores! Bath and Body Works Sale on NOW! Today's post is for anyone who is trying to get healthy or stay healthy. Are you weighing yourself? When I was doing Weight Watchers a couple years ago, I weighed in every Monday morning. It's tough to get out of that habit! I'd heard a lot that it's terrible to be a 'slave to the scale'. We should all throw out our scales and be liberated! Well, that's great, but I still want to know how I'm doing as I try to lose weight on My Way to a Healthy Life. It's funny...I weigh myself but don't actually have a specific number in mind that is my goal weight. I've been weighing myself and getting increasingly discouraged as the number was never dropping. Now I know I am building muscle and my body is shifting as things lift and shrink and sculpt. But, being that girl who's always watched the scale numbers...it was disheartening. Then, last week one morning I weighed myself four times and got four different numbers in a TWENTY pound range. 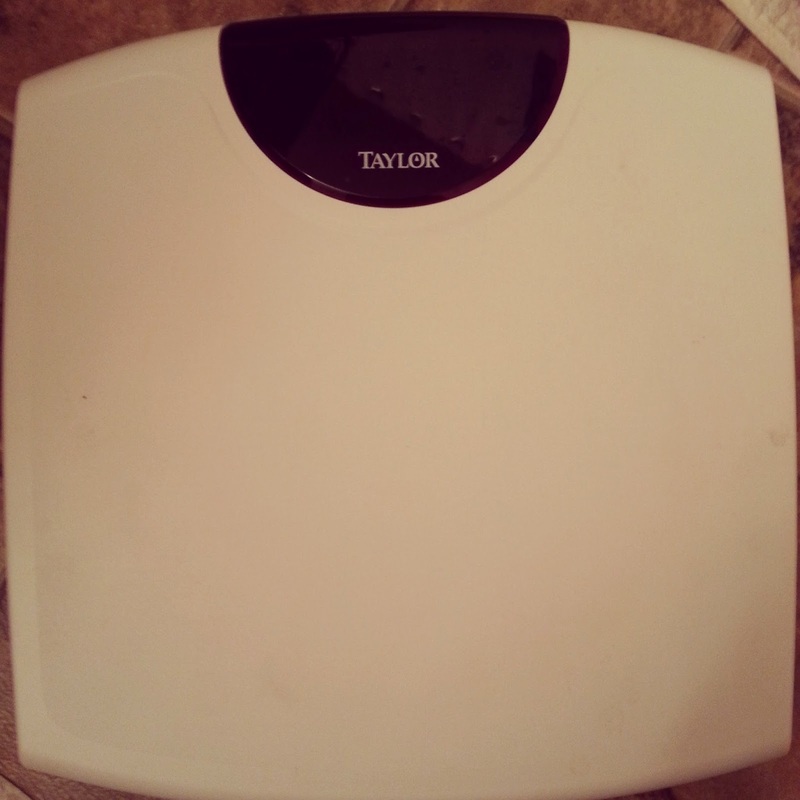 Then I started to wonder if something was wrong with my fancy new digital scale. Then I wondered if I was going crazy, blaming the technicalities of a scale. 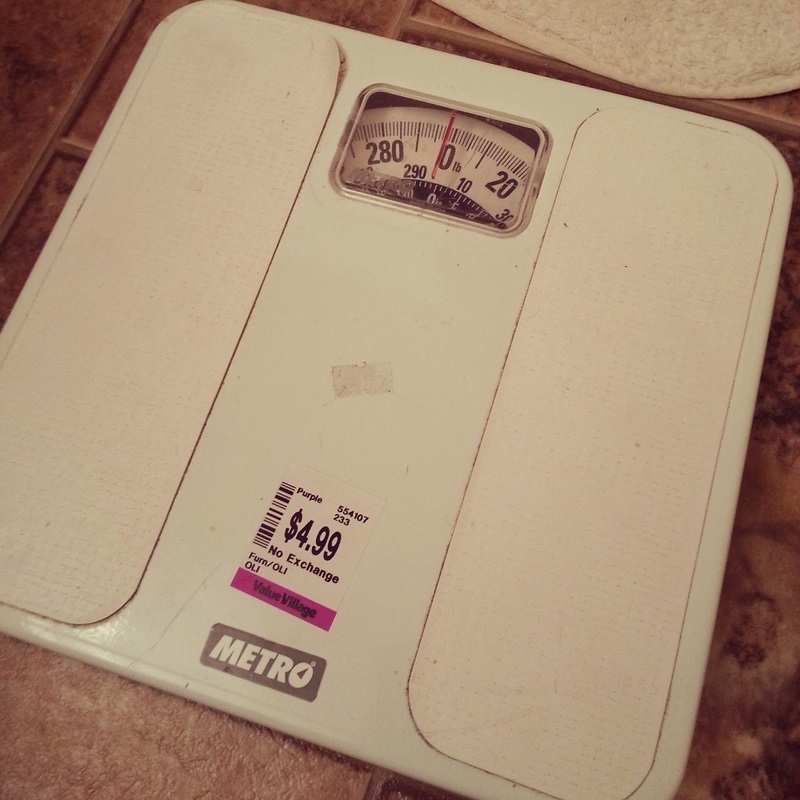 After letting the thought marinate for a few days, I finally went to the thrift store to see what I would weigh on a non-digital, old-school scale. Much better! Jeremy weighed himself on both scales as well (just to make sure I wasn't crazy!) and it was the same for him. Happy Monday! This is going to be the most random Mare's Music Monday, but I thought it would be fun to share:) I recently discovered a binder of cds. 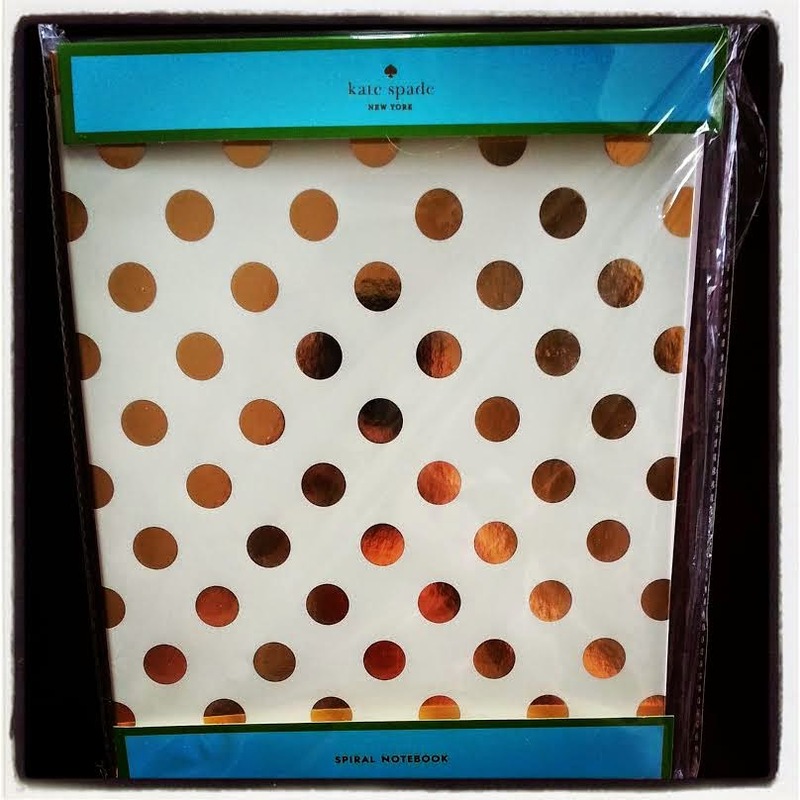 Yes, a massive binder of cds. (You may be too young to remember the glory days of this, but stick with me.) This binder was compiled over a few years when I was driving a lot. When I was going to broadcast school I came home almost every other weekend (four hours away) and then my first real job as a broadcaster was about eight hours from home. Again, lots of time in the car. 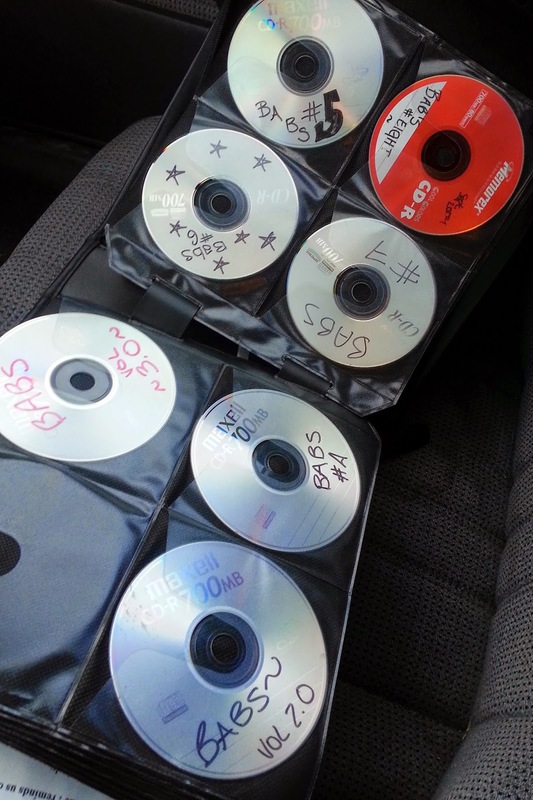 It's been a real trip down memory lane busting these discs out. Some songs I forgot I had and will definitely be added to my iTunes library! Also, at the risk of sounding ridiculously cheesy, it's been fun to remember where I was when I first listened to these jams. 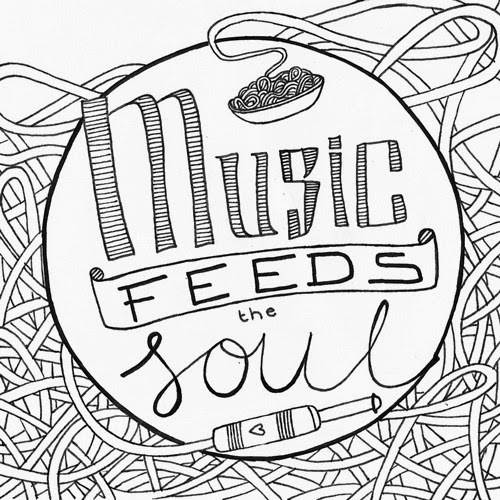 Music can definitely take me back in time in an instant! As I slowly listen to the discs from ten years ago, I am reminded of that young woman starting a career and paving her way. 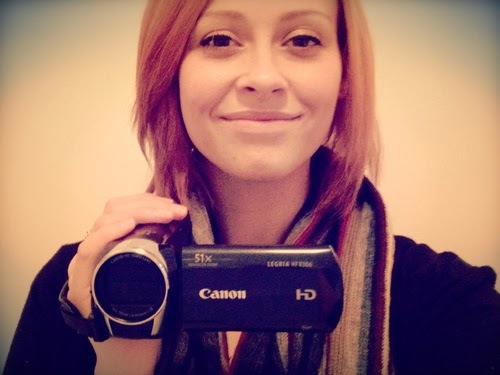 A stranger asked me recently what I like to do in my spare time and I replied, "make YouTube videos". The blank look returned was hilarious. It is tough to explain to someone who isn't part of the YouTube community why we do what we do. Regardless, I love it! I turn to YouTube in a range of moods. 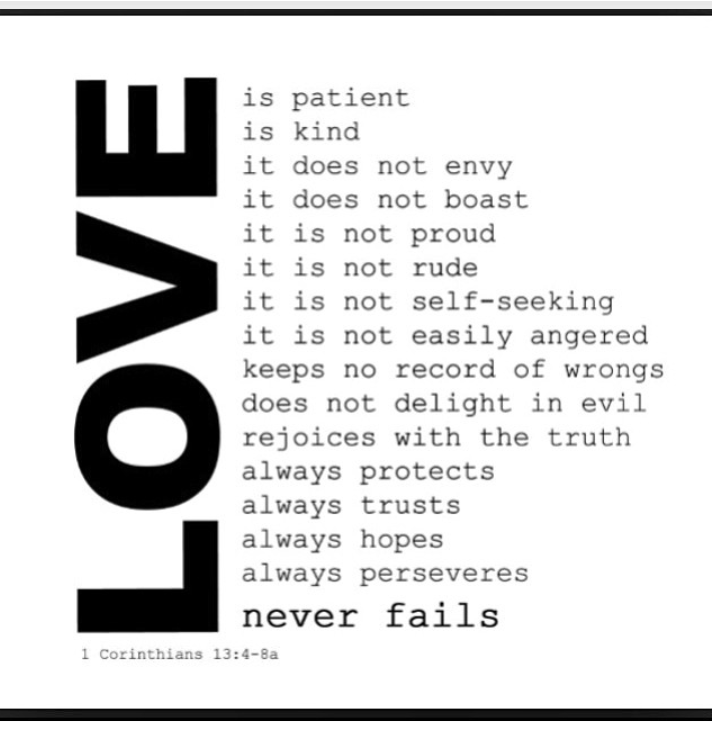 When I need my day to be brightened there are a few solid contributors I love. I want to include some of my favourite YouTubers in this series and instead of just rambling off a list, I am going to feature them one at a time sporadically. Today we start with Thaila. Short. Collects sunsets. Loves tea. Tends to squee a lot over various things. Battled Crohn's disease. Had ostomy surgery. Getting married in September. Makes YouTube videos. Trying to get fit and healthy. Scared of ants. Enjoys watching movies. Two teenagers meet in a cancer support group and fall for each other. Does it come with kleenex? Then I saw the preview for the movie which comes out this weekend and the PREVIEW made me ugly cry. Uh oh. But a friend of mine finished it and said it wasn't as upsetting as I thought. And it's not. I read The Fault In Our Stars in five days. It's writing style is so easy to follow, yet thought-provoking and unique. 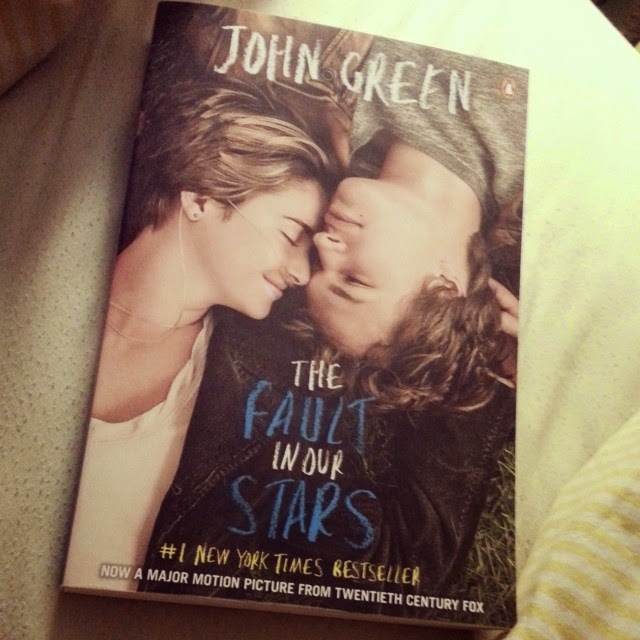 This book by John Green is incredibly refreshing. Yes it's got a heavy subject, but whose life doesn't have something heavy? I loved how he brought the two main characters to life, showing them living their lives despite the pain they are in. It's such an incredible tale of following your heart and not caring if you stand out in the crowd. Yes I shed a few tears, but it was worth it. 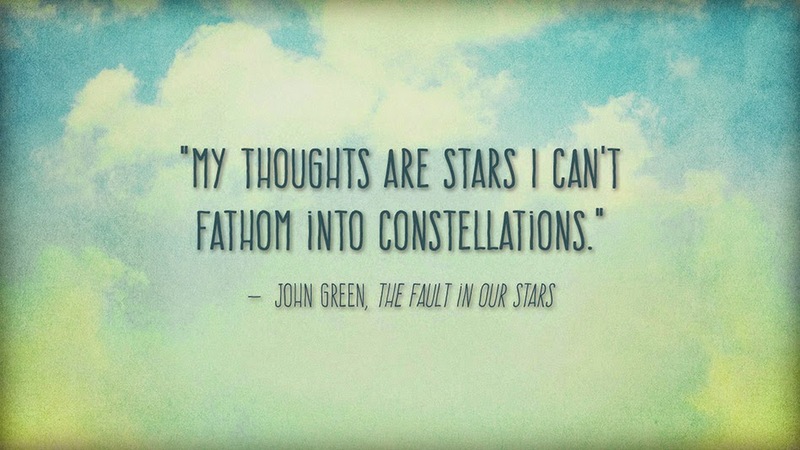 The Fault in Our Stars opens this weekend and I will be going to the movie, sans mascara with a huge box of kleenex! Another week and another old-school album featured for Mare's Music Monday. It's been 10 years since this mash-up and I still love it just as much. 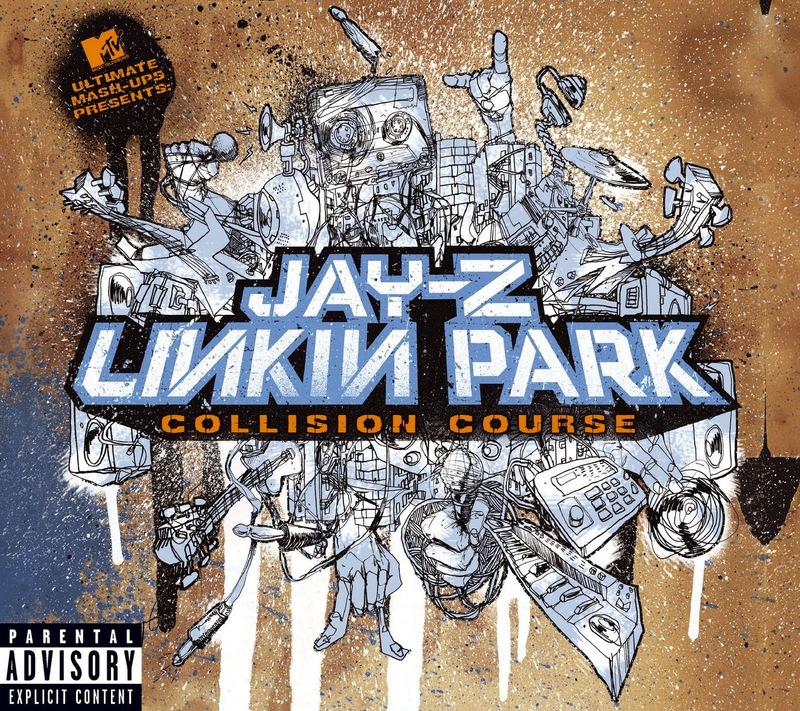 In 2004 Jay-Z and Linkin Park got together for an MTV special: MTV Ultimate Mash-Ups. This is one of the best collaborations I've ever heard. They take Jay Z and Linkin Park songs and mash them together, performing live. They sound flawless. I love the mixing of rap and rock and how seamlessly they blend songs together. It's such an art. Consistently the songs from the album that came from this live event are the ones I turn to when I am working out or need an energy boost. The album is Collision Course.